RIT has a growing artificial intelligence (AI) community, and a seminar series highlighting the courses and research in this area begins this fall to further collaborations in the growing technology field. The Move78 Artificial Intelligence Seminar series resumes Monday, Sept. 11, and runs successive Mondays through the fall semester. All sessions take place from 12:20 to 1:15 p.m. in the Campus Center Bamboo Room. The series came about as a result of the Move78 Retreat, an event which took place last spring, and brought together individuals from multiple RIT colleges involved in AI coursework and research. This follow up series focuses on machine learning, neuromorphic computing, computer vision and other related topics. It is open to faculty and staff participants and those interested in learning more about AI research underway. Registration is not required; refreshments will be served. 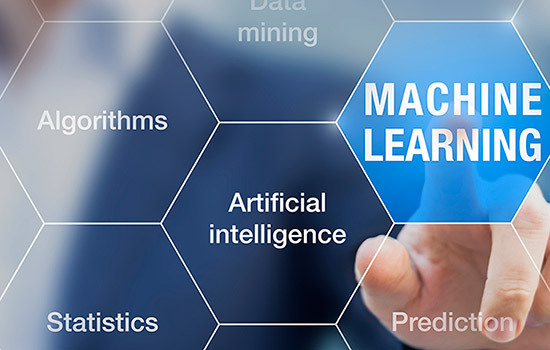 At RIT, there are more than 40 separate AI-focused courses and faculty-researchers in 27 lab groups across campus involved in work using AI and other related topical areas that include Deep Learning for Vision, Machine Intelligence, Brain-inspired Computing and Big Data Analytics. Faculty in the Kate Gleason College of Engineering, B. Thomas Golisano College of Computing and Information Sciences, Saunders College of Business, the College of Science and the College of Liberal Arts are looking to develop an organizational structure that encourages cross-college and corporate collaborations in AI and cognitive technologies. The continued exploration through the seminar series is an opportunity to learn more about the field, current AI work being conducted at RIT and the direction the university might take to expand its capabilities. The speaker series is sponsored by the Office of the Provost. To request interpreting services, contact http://myaccess.rit.edu.